Liam Madden is a busy man. As the co-founder and president of Jubalí, he’s got a lot on his plate—most of which ends up in bottles. 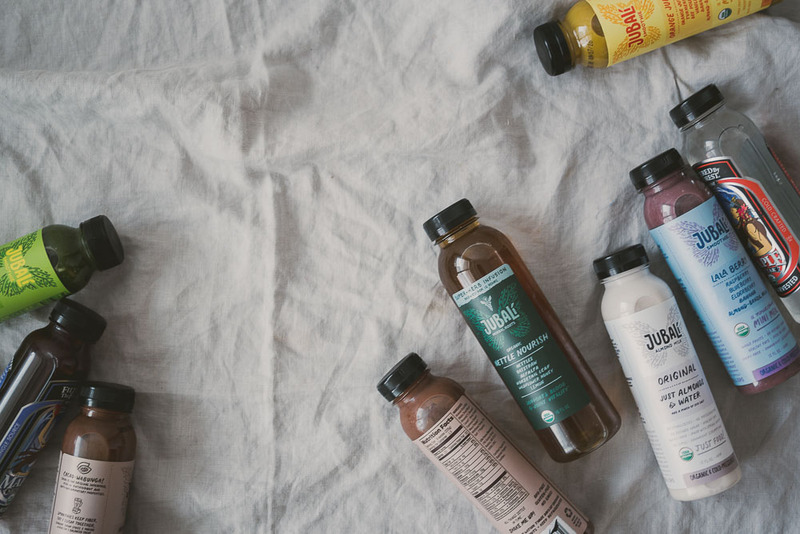 Jubalí (pronounced “jubilee”) is a Boston-based wholesale and mail-order beverage producer specializing in “superfood” smoothies, herbal infusions and flavored nut milks. sourced locally and seasonally whenever possible. Madden started with lofty ideals. A born-and-bred Vermonter, he served as a sergeant in the Marine Corps—an experience that compelled him to work to stop war. He subsequently became the chairman of the board of directors of Iraq Veterans Against the War, and had a short but intense career as a peace activist. Burned out from what he terms “aggressive activism,” he eventually decided to stop fighting the problems and instead find solutions. Coming from a family background in the food industry (his parents worked as cooks, restaurant owners, and food distributors; his sister dabbled as a food writer), his natural inclination was to turn to food. Still committed to his original values, Madden sees food as a way to effect social and environmental change, and wanted to start a business that kept people and the planet at its core. He’s spent a good deal of time working with UN-certified programs to help measure the company’s carbon footprint, and aspires to make the brand at least carbon-neutral. Madden’s business partner and Jubalí co-founder Brian Axelrod—who goes by the moniker “Smooth”—serves as the company’s director of operations. Hailing from a lineage of “wheatgrass gurus”—family members, beginning with his great-grandfather, who saw the kitchen as an apothecary—Axelrod was inspired to turn to food as medicine at an early age when his mother was diagnosed with breast cancer and sought out alternative therapies. Formerly employed by bicycle-delivery company Metro Pedal Power to help distribute Red Fire Farm’s Boston CSA, Axelrod met Madden through the latter’s sister, who shared his passion for local agriculture. He was keen to be part of a company that aimed to foster systemic change in the health and food industries. kind and genuinely energized by what they do. The company’s name, Jubalí, is a riff on “jubilee.” Although the team doesn’t love the spelling (“we had to bastardize it due to trademark reasons,” Madden explains), they do love what it refers to: a celebration, but also a hope of future happiness, a time of emancipation and forgiveness of debts — not a bad wish for a start-up. slow-release version of the sugary dessert that features warming ginger, Ceylon cinnamon and carrots. (The carrots are sourced from Red Fire Farm and Winter Moon Farm in western Massachusetts.) The antioxidant-rich Lala Berry smoothie contains blueberries from Maine. A committed marathoner, Axelrod’s own regimen is primarily plant-based. When the running community was all agog about chocolate milk as a post-training recovery drink, he started using Jubalí’s healthier version, Mocha Bliss (raw cacao, espresso beans, frozen bananas, almond milk, sprouted hemp protein and honey), which remains a popular choice. chicory roots; and Chaga Chai, which contains immune-supporting chaga mushrooms wild-harvested from New England. Unfortunately, it’s being overharvested, so Jubalí will be phasing out this ingredient so as not to exacerbate unsustainable demand. beet-tarragon hummus, a curried carrot salad, grass-fed yogurt and butter, and more. At the time of this writing, Jubalí plans to soon boast a new line of wild maple beverages called Filtered by the Forest, which features maple sap from a single-source family farm in Vermont’s Cold Hollow—which is to maple trees what the Champagne region is to grapes, or San Marzano to tomatoes. “Wild maple sap has all the superfood characteristics of coconut water, but it’s local to New England,” says Madden. He’s especially excited about one flavor in this line: Herbal Joe, which blends dandelion root, chicory root, cinnamon, vanilla, reishi mushroom and wild maple sap with cold-brew coffee. “It tastes great,” enthuses Madden, “and is really helped by the addition of coffee. When all else fails, sell drugs,” he quips. For an idealist on a serious mission, at least he has a sense of humor.